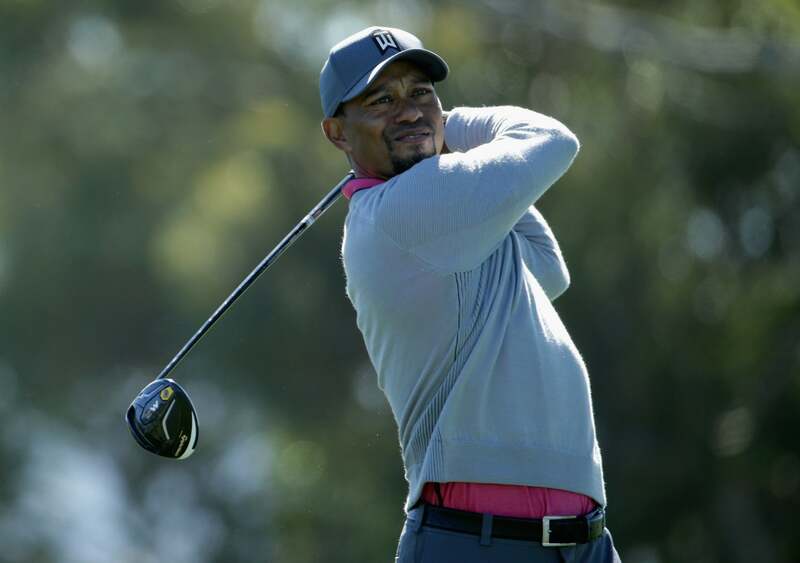 SAN DIEGO (AP) -- Tiger Woods returned to the PGA Tour after 17 months and lasted only two days. Woods never got anything going after starting with a birdie Friday in the Farmers Insurance Open and didn't come close to making the cut. He missed a 12-foot birdie putt on his final hole on the North Course for an even-par 72 and missed the cut at Torrey Pines for the first time in his career. "I just didn't make enough birdies," Woods said. He finished at 4-over 148, missing the cut by four shots. It was the third straight time that he failed to complete 72 holes at Torrey Pines, the course where he has won eight times in his PGA Tour career. Woods missed the 54-hole cut in 2014 and withdrew after 11 holes with tightness in his back in 2015. Expectations were different this time, except for Woods. "It's frustrating not being able to have a chance to win the tournament," Woods said. "I didn't make the cut." Woods at least kept good company. Jason Day, the No. 1 player in the world, again struggled to make cuts and shot a 74 to miss the cut for the first time since the Farmers Insurance Open last year. Also in his group was U.S. Open champion Dustin Johnson, who shot 74 and missed the cut. Woods was coming off the longest layoff of his career as he recovered from two back surgeries. Woods last played the PGA Tour in August 2015 at the Wyndham Championship, where he tied for 10th. He played in the Bahamas the first week of December in an unofficial event with an 18-man field and no cut. More than dealing with the Pacific morning chill and the thick, wet rough on the South and North Course, Woods faced a full field under the pressure of making the cut. He would have needed a round of 68, and he never looked as though he would get there. After an opening tee shot over the gallery's head on the right side of the 10th fairway, he managed to get up-and-down for birdie. Two holes later, he blasted too long out of a bunker and down the ridge, leading to a bogey. Just like Thursday on the South Course, birdie chances didn't come along very often. He was rarely pin-high, and when he did have a chance, his birdie putts slid by the hole. "I hit a lot of beautiful putts that didn't go in, but I hit it much better today, which was nice," he said. His biggest concern? A 17-hour flight that awaits to Dubai, where he will play next week. Still to be determined was whether Woods was going home to Florida first instead of leaving from the West Coast to the Middle East. He has not played in Dubai since 2014, two months before the first of his three back surgeries. Woods said his body held up fine for two days at Torrey Pines, where he had to wear extra layers to keep warm and slash out of the rough far too often. "Flying out here was something I hadn't done in a while," he said. "So now we've got a pretty good jaunt." After Dubai, Woods has a week off before playing back-to-back weeks on both ends of the country, Los Angeles (Genesis Open) and Florida (Honda Classic). This is the eighth straight season Woods has played that he has missed a cut, after having missed only four cuts in his first 13 years as a pro. Patience has never been one of his hallmarks, though Woods was taking a long view of what he wanted out of his game. It's all about the Masters, the major he has won four times but not since 2005.